When the family flocks home for the holidays, this general store has what it takes to keep them all chirping happily! 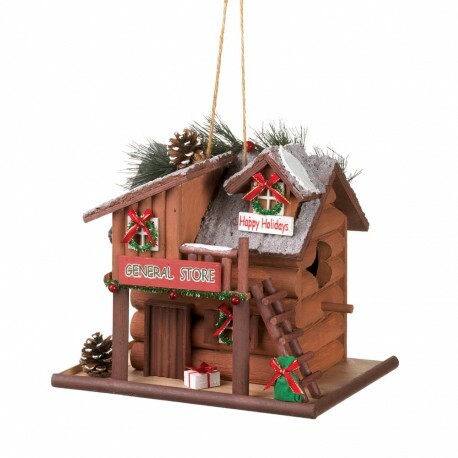 This adorable log cabin birdhouse features holiday accents and trim, including sparkling garland and wreaths, and a frosted roof decorated with pine cones and more. The birds will love making this little store their holiday home. Item weight: 1.6 lbs. 9" x 7" x 9" high. Wood.